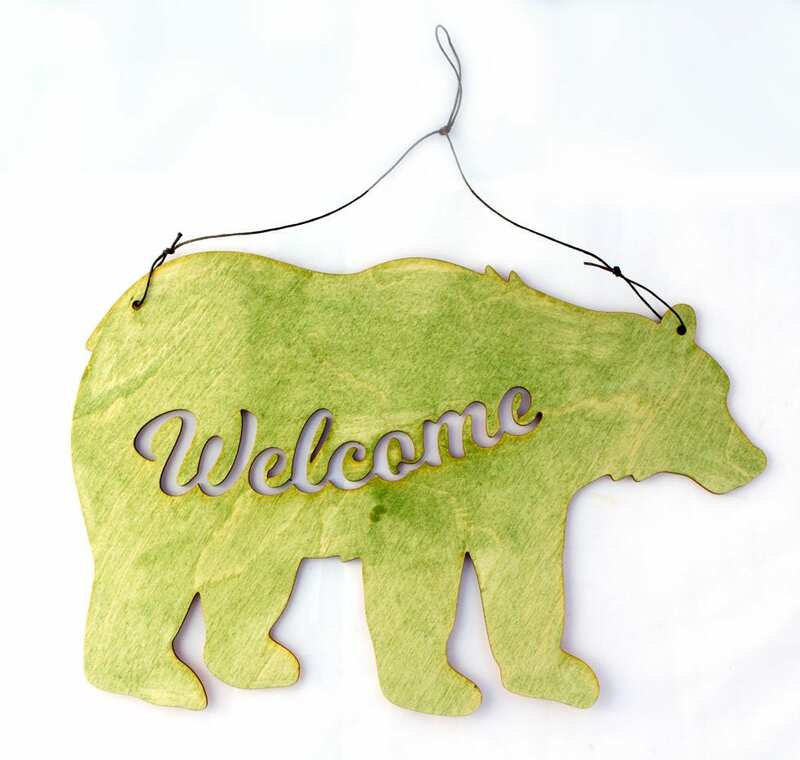 Have this delightful bear welcome you and your guests to your home. Laser cut from 1/8 inch baltic birch wood. 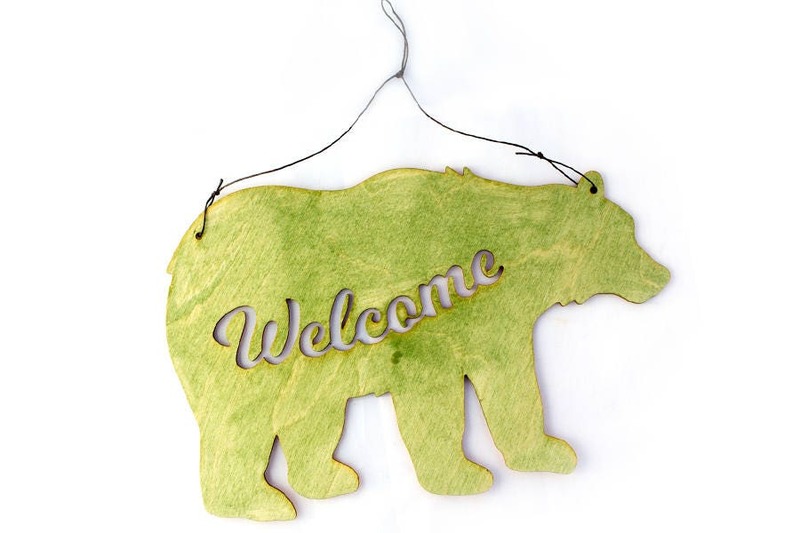 Also the cutest housewarming gift for your favorite bear lover.